Pallavi Mohan displays Not So Serious collection at the Wills Lifestyle India Fashion week 2015 in New Delhi. 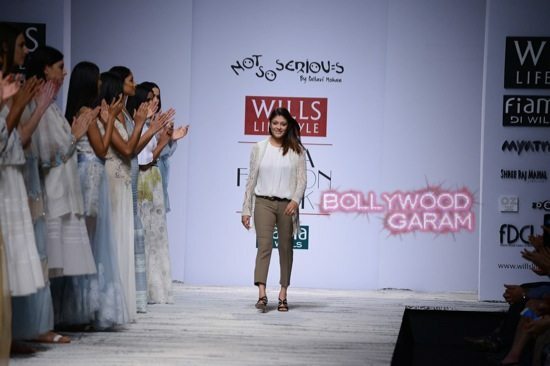 The opening day of the Wills Lifestyle India Fashion Week saw designer Pallavi Mohan showcase her design label ‘Not So Serious’ in Delhi on October 8, 2014. The designer put up an interesting show on the ramp with pallazo pants and a-line skirts. A lot of the sartorial creations played around with lingerie and sheer, models sizzled in some “covered skin show”. 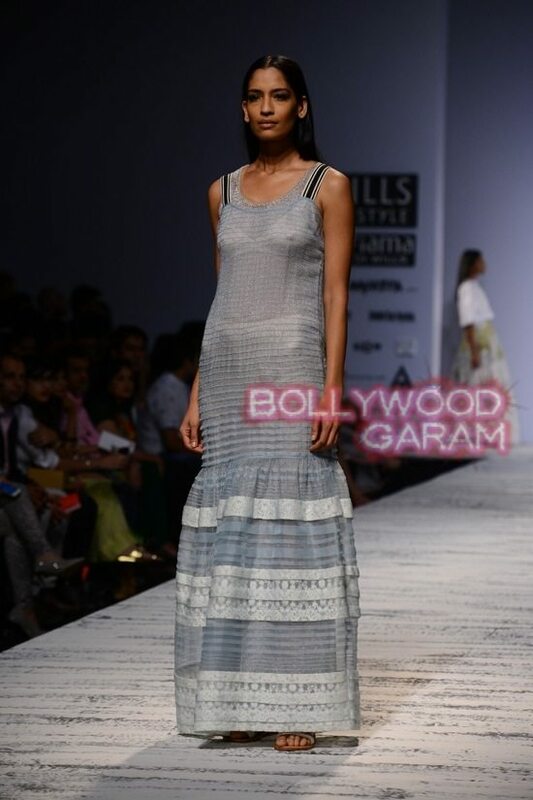 Mohan also flirted around with shimmer in her garments and thus, kicked off the WIFW 2015 in style.